Our product — the SPOUD Data Market — is redefining the way enterprises are able to access and integrate business data inside and share it between companies. Be the driving power that gets our crazy integration and analytics projects off the ground. A place where you can get happy if you like making a difference! Attention: This is not a regular job – this is a mission where you play an active role, help our customers build their data nirvana and on this path unfold your full potential. So save your seat on this fast-growing rocket ship and be at the Swiss forefront of Innovation in big data! We are looking forward to welcome you to our family (regular BBQs are a must!). Company founded in August 2016. 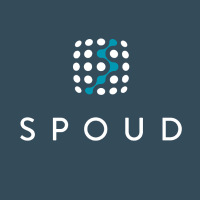 SPOUD is a company based in Switzerland. We offer a realtime data analytics platform. With our knowledge and our product we enable companies to understand and act on their data. SPOUD collects and analyses high volume data streams and creates actionable insights in real-time. Our insights unlock answers and our answers generate business value.